Rathbeag's 'Shivy' had an incredible game at this year's Annual Soccer Tournament when she scored not 1, not 2, but 3 goals for her team!!! She was absolutely fantastic on the field and her team were extremely proud of her. 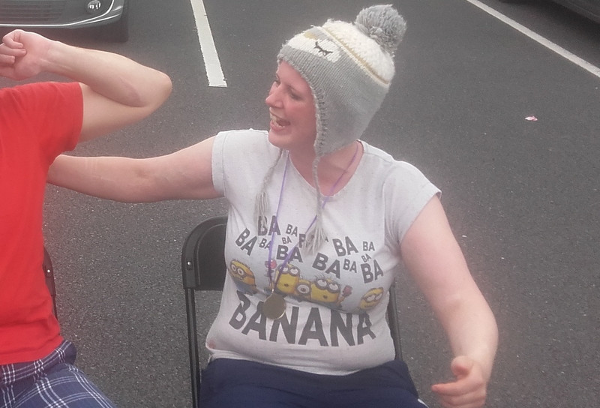 When asked to comment afterwards, Shivy said; "I am enjoying my Summer doing lots of different activities with staff, and I made myself and "The Beag" proud when I scored 3 goals at the Nua Football tournament". Well done to Shivy, her house team, and to our participants and helpers on the day.